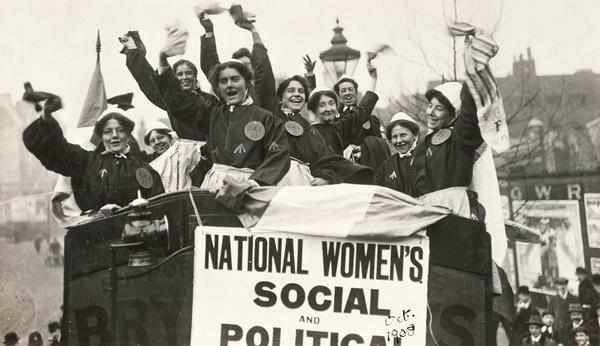 On 18th November 1910, approx 300 members of the Women’s Social and Political Union (WSPU) - otherwise known as the suffragettes - converged on the House of Commons. They were there to protest against the Government’s refusal to take the Conciliation Bill further. At the time women were not allowed to vote, and if the bill was passed, it would have given the right to vote to property-owning women: approx 1,000,000 women. 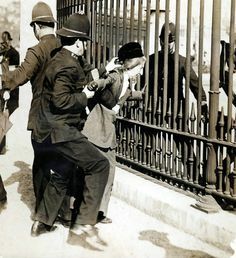 On their arrival at Parliament, the suffragettes were met by a wall of police. As they attempted to pass, the women suffered a barrage of abuse and were physically assaulted. Many of the women were badly injured, and two consequently died from the injuries they sustained. The suffragettes had campaigned to attain the vote since 1903. Their hopes were lifted when they thought their efforts were finally going to be rewarded with the introduction of the Conciliation Bill. Christabel Pankhurst called a truce and the suffragettes ceased their activities. However Asquith, the Liberal Prime minister at the time, was not a great supporter of the enfranchisement of women, and was reluctant to give the issue any attention. It was a period of great social unrest in any case; there was a massive wave of strike action, and Asquith believed this took priority. The Conciliation bill was heading for a second hearing, but Asquith put a stop to it at the last minute, saying there was not enough time in the parliamentary session. ​ The suffragettes were massively disappointed and outraged that they had been placated with empty promises. They resolved to march on Parliament - not for the first or last time - to express their discontent. The suffragettes were accustomed to being met unfavourably, but on this occasion the brutality and violence bestowed on them by the police was unprecedented. Over a period of six hours the women were battered with truncheons, punched and thrown to the ground. There were also widespread reports of police sexually abusing the women: pinching their breasts, lifting their skirts and groping. One woman was arrested for stone throwing a few days earlier, and she was treated particularly badly by the police. She later died after being released from prison - on Christmas Day 1910. She was Emmeline Pankhurst’s sister, Mary Clarke. Several members of the press were present as the events of, what was to become known as, Black Friday unravelled. The Daily Mirror published a photograph of suffragette Ada Wright, lying collapsed on the ground, her hands clutching her bloody face. The Government tried to cover-up the whole thing by attempting to stop the newspaper being sold, and ordering the destruction of the negatives. And, Winston Churchill, home-secretary at the time, refused to permit a Government enquiry into the occurrences. ​ After the events of Black Friday, the suffragettes tightened their resolve and were more determined than ever to achieve their goal and attain the vote for women. The nature of the suffragette campaign took a dramatic turn, becoming more violent and destructive. They utilized tactics that were not unlike guerrilla warfare. They began to target private property with vandalism, window smashing and even firebombing. This kind of militant activity was to continue until the outbreak of WWI in 1914. ​Read about working-class suffragette Annie Kenney here.